For history buffs, one of the things to do in Singapore is to visit the National Museum of Singapore or the Asian Civilisations Museum to understand the cultural and historical background of Singapore. Though small, this country has a rich heritage that is well depicted in these two museums, showcasing its journey from struggles to victories. 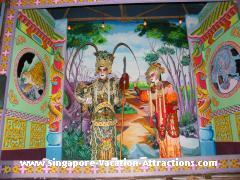 Singapore has always had a rich cultural scene built around the four different races - Chinese, Malay, Indian and Eurasian. An educational visit is never complete without visiting their places of worship. 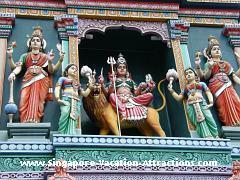 Chinese Temples, Indian Temples and Malay Mosques can easily be found in the respective tourist attractions of Chinatown, Little India and Kampong Glam. A variety of Tropical Fruits and juices such as Banana, Papaya, Mango, Starfruit and Durian are found in most parts of Singapore. Although some are seasonal, only available at certain times of the years, you'll find fruit stalls selling other tropical fruits if not equally, definitely more deliciously exotic! Singapore is one country with an amazingly fresh and juicy assortment of fruits available all year round and all worth trying - whether it's freshly sliced or freshly juiced.